This entry was posted on March 1, 2016 by Chrissy Roos. We certainly know why Teghan won the evening wear preliminary award - that dress, of course! She picked a look that couldn't have been more unique in her pink and black Sherri Hill dress. 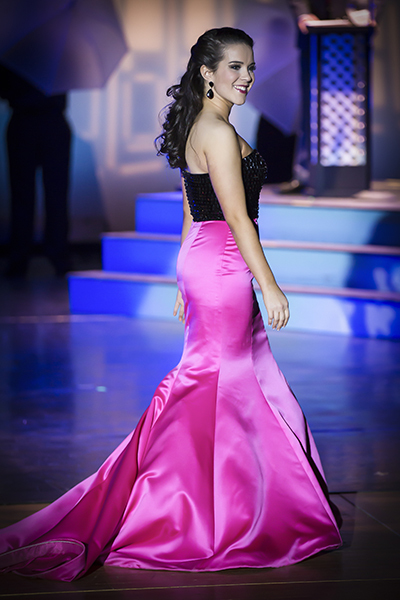 All eyes were certainly on Teghan in her beautiful pageant look. The bold pink skirt, paired with the sparkly black top, and curve accentuating features made for a show-stopping pageant dress look. Congratulations, Teghan! As the host says at the end of the video, "happy is what happens when all of your dreams come true." 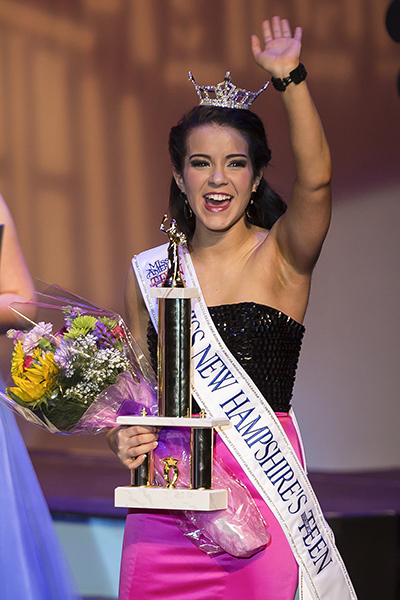 The best of luck to Teghan as her dreams come true over the next year as Miss New Hampshire's Outstanding Teen! We can't wait to hear how she does as she goes on to compete in the Miss America's Outstanding Teen pageant.